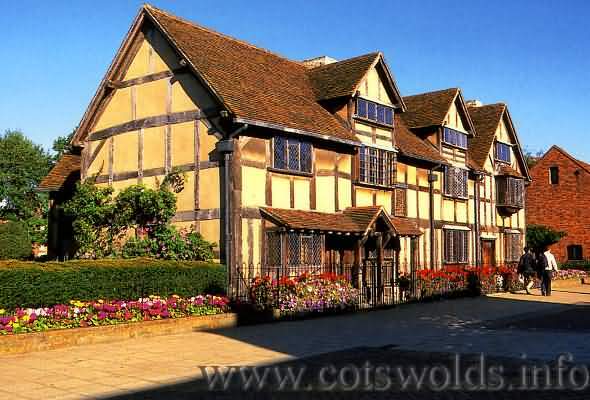 At the top of the tourist attaractions in Stratford upon Avon are the houses associated with William Shakespeare including his birth place and his final residence before the great Bard died. This was the home of William Shakespeare’s daughter Susannah following her marriage in 1607 to Doctor John Hall a prominent local physician . Wander through the elegant home of Susanna Shakespeare and her husband, Dr John Hall. Enjoy the luxurious rooms and beautiful decoration of this fascinating house, befitting a wealthy physician of Dr John Hall's status. Relax in the beautiful gardens and breathe in the fragrant herbs as used by Dr Hall in his remedies. Commemorate the centenary of the outbreak of World War I in our exclusive exhibition. Follow the story of Stratford-upon-Avon and its people during the war through our local archive material, as well as Shakespeare's words on war, loss and patriotism. Families can then discover more about the First World War in the activities area. Visit Hall's Croft cafe to unwind over delicious refreshments, and browse in The Arter, a unique gift shop specialising in hand-made arts and crafts by local contemporary design-makers. On Saturday 20 August 2016 a splendid new oak and bronze gateway was opened on the original threshold of Shakespeare’s New Place, inviting visitors to walk in the playwright’s footsteps, explore a dramatic new landscape and exhibition, and meet the man behind the famous works. This is the place where Shakespeare had his family home for 19 years, and where he died four hundred years ago. Now the Shakespeare Birthplace Trust has transformed this internationally significant heritage site into a window on the world of Shakespeare for the 21st century. The re-imagination of Shakespeare’s New Place is the biggest and most enduring project anywhere in the world to mark the 400th anniversary of Shakespeare’s death in 2016. The £6 million capital project is supported by the Heritage Lottery Fund, Historic England, and the Wolfson Foundation, and through public donations raised through a host of initiatives spearheaded by the Shakespeare Birthplace Trust. Shakespeare was 32 when he bought New Place in 1597, and it remained his family home until his death there in 1616. It was the largest house in the borough, a prestigious residence with 10 fireplaces, up to 20 rooms, and extensive gardens. Sadly, the last house to occupy the plot was demolished by the infamous Reverend Francis Gastrell in 1759, and the largest surviving part of Shakespeare’s estate has been preserved as a garden ever since. Today, visitors can trace the footprint of Shakespeare’s lost house, discovered during the archaeological excavation of the site, outlined in engraved bronze inlaid in the spectacular stone paving. 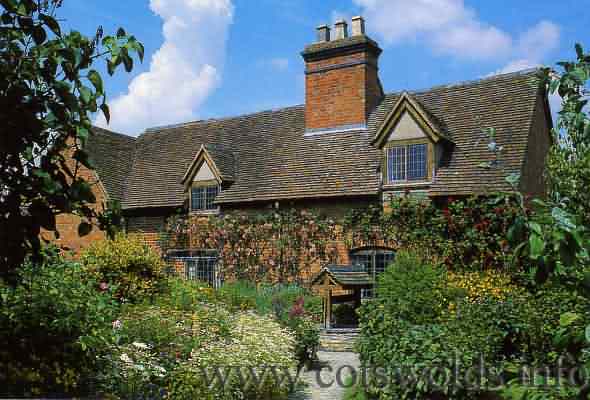 A swathe of golden plants in a bronze-clad raised border link the three zones of Shakespeare’s mansion and enfold his original well. Festive pennants representing all of Shakespeare’s plays turn in the breeze above the plants, while his sonnets and longer plays are represented by a ribbon of white bronze darts set into the stonework. Around the new garden, specially commissioned sculptures conjure up the world that influenced Shakespeare, and his enduring influence in our world today. A magnificent bronze tree takes centre stage in the Heart of the Home (the Shakespeare’s family living quarters), its branches swept over a massive sphere which is burnished bright on one side, and in deepest shadow beyond. His Mind’s Eye is the work of renowned sculptor Jill Berelowitz, a powerful metaphor for the irresistible force of Shakespeare’s imagination. Surrounded by a circle of pleached hornbeams and a 30m curved oak bench, with Shakespeare’s desk and chair at stage right, this is the perfect spot to contemplate Shakespeare’s works – and take a picture. Behind the garden on the site of New Place, the sunken Tudor Knot Garden, which is on the national register of historically important gardens in its own right, has been fully restored for the first time since it was created in 1920. The Victorian Great Garden beyond, with its sweeping lawns, herbaceous borders, and famous mulberry trees, has been retained and the original Wild Bank of plants mentioned in Shakespeare’s works has been reinstated. A dynamic new permanent exhibition brings to life the story of Shakespeare’s New Place and the personal life of its most famous occupant and his family – casting new light on Shakespeare as father, husband, citizen of Stratford-upon-Avon - as well as the famous playwright. The exhibition centre is housed in the meticulously restored and extended Grade I listed Tudor house next door to the site of New Place. 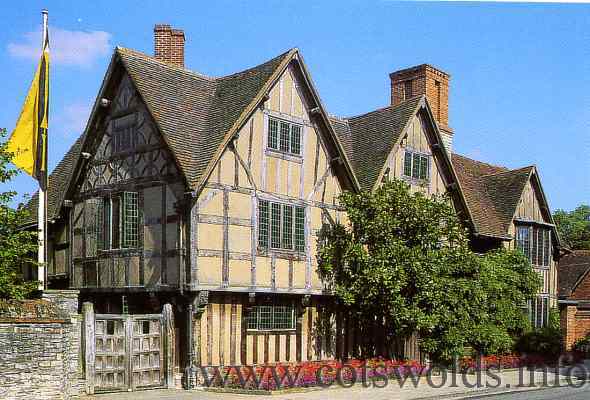 (Nash’s House belonged to Shakespeare’s granddaughter Elizabeth and her husband Thomas Nash.) A new first floor viewing platform gives views over historic Stratford-upon-Avon to landmarks Shakespeare would have recognised, including the neighbouring Guild Chapel and the school he attended (both open to visitors). The whole site is now fully accessible for the first time. Ingenious architecture, landscaping and planning ensure that the gardens as well as the exhibition are wheelchair friendly, and in total sympathy with the Grade I listing of the site, making New Place a place for everyone to connect with Shakespeare. Shakespeare’s New Place is open from 9am – 5.30pm (10am – 4pm in Winter) everyday, except Christmas Day. Entry to Shakespeare’s New Place is included in the Town Houses pass (Shakespeare’s Birthplace, Shakespeare’s New Place & Hall’s Croft - £17.50 adults / £11.50 child, discounts for groups, concessions and online bookings) and valid for 12 months unlimited entry. Stratford-upon-Avon (CV37) residents can enjoy free entry on presentation of a community card (proof of residency required). Nash's House on Chapel Street was a property inherited by Shakespeare’s daughter Susanna Hall, on her death it passed on to her daughter Elizabeth. This house stood next door to New Place and is now the entrance to the knot garden on the original site of New Place. Elizabeth married Thomas Nash, following her death the house returned to the Clopton family. It is now in owned by the Shakespeare Trust and houses a museum, it is the point of entry to the Elizabethan Knot Garden created partially on the site of New Place (Shakespeare's House where he died). Nash’s House closed on 2 November 2014. While work is carried out on an exciting new project to reimagine the site, visitors have the opportunity to visit Harvard House; a beautiful Elizabethan town house in the centre of Stratford-upon-Avon. On the death of childless Elizabeth in 1670, Shakespeare's grandaughter, brought Shakespeare's direct line of descent to an end. 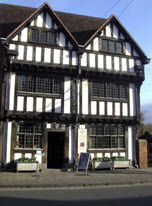 Situated in Henley Street is the half timbered building where William Shakespeare was born and was the house where William and his brothers and sisters were brought up. The building was acquired by his father John in two transactions in 1556 and 1575, it is thought that he was a tenant in one part or possibly both. The birth room was a chamber above the parlour. Alterations created a separate single bay house when this was added to the original structure and was now known as ‘Joan Harts’ cottage. In later years the main house was leased out to Lewis Hiccox who converted it to an inn known as the ‘Maidenhead ’ and later to be known as ‘The Swan and Maidenhead’. At the time of Shakespeare’s death it was occupied by his widowed sister Joan Hart and under the terms of Williams will the whole of the property would be passed on to his daughter Susanna upon the death of Joan which occurred in 1649 it passed on to her daughter Elizabeth, the wife of Sir John Barnard. When she died in 1670 it was bequeathed to Thomas Hart a descendant of Joan Hart. The property remained in the ownership of the Hart family until 1806 , it was sold then to Thomas Court a butcher. It was upon widows death in 1846 that the whole of the premises was put up for sale and purchased by a board of trustees for the nation. - Shottery, 1 mile west from Stratford . 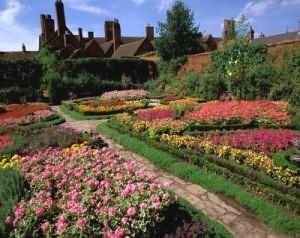 Set in superb gardens is the childhood home of Anne Hathaway, the wife of William Shakespeare, it was her home until their marriage in 1582. The beautiful half timbered cottage was in fact a 12 roomed farmhouse with several bedrooms that had its origins in the mid 15th century with alterations in evidence during the early 17th century. In Shakespeare’s time it was known as Newland’s Farm, a farm of 90 acres. It was owned by the Hathaway family until 1746 when the male line became extinct on the death of John Hathaway. Susanna his sister inherited the cottage after that it was passed on to his nephew John Hathaway Taylor, his son William Taylor lived there until his death in 1846 although he ceased to own it in 1840 living there for 6 years as a tenant as did his daughter Mary who was still recorded as being a tenant in 1892 when the trust purchased the property along with many items of furniture which included the family bed. Mary Baker was appointed the first custodian and she died in 1899. The garden is a tourist attraction in itself, with flowers and shrubs that offer colour for the year round. 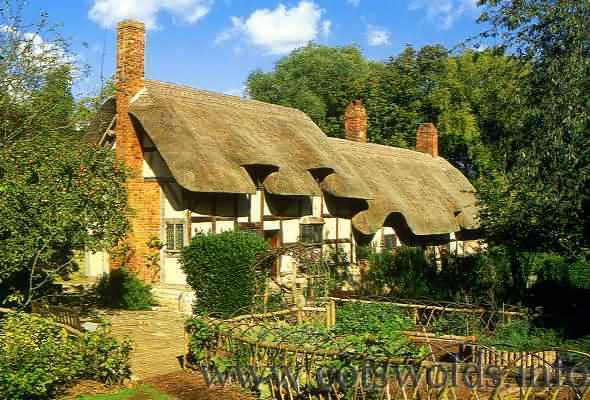 Situated in the village of 3 Miles north of Stratford , it was the birthplace of Mary Arden the mother of William Shakespeare, she was born about 1540 and lived there until her marriage to John Shakespeare . Now owned by the Shakespeare Birthplace Trust it is a museum of countryside life and is open to the public. There is a nature trail, rare breeds, enactments of Elizabethan lifestyles, free parking café and toilets. Historical records show that the true location of Arden House was the neighbouring Glebe Farm and that Mary Ardens name was transferred to it and the former Mary Arden House has been renamed Palmers Farm after Adam Palmer who owned the property in 1570s and 1580s.